Thank you to Raycop for providing me with products in exchange for this honest blog review. All opinions are 100% my own. Have you ever considered all the particles that have collected on and in your mattress? How about your fabric furniture? If you stop and really think about it, it will probably gross you out. Your mattress and fabric furniture are loaded with allergens such as dirt, sluffed off skin, dust mites, and who knows what else. Gross right! 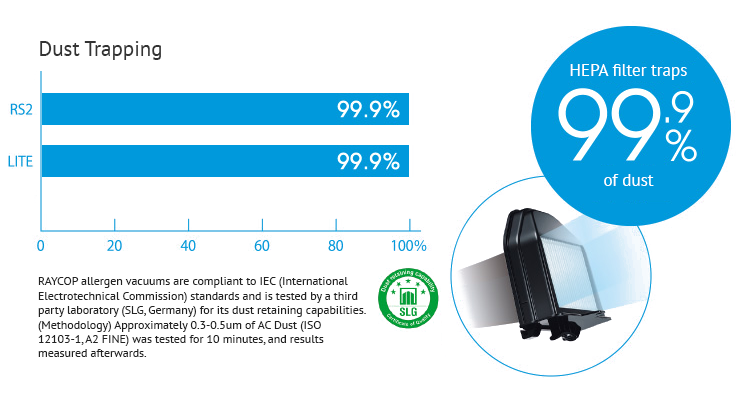 Using a standard vacuum cleaner and/or upholstery cleaner won’t be able to get deep down allergens. You need something designed specifically for this chore. You need Raycop’s RS2. 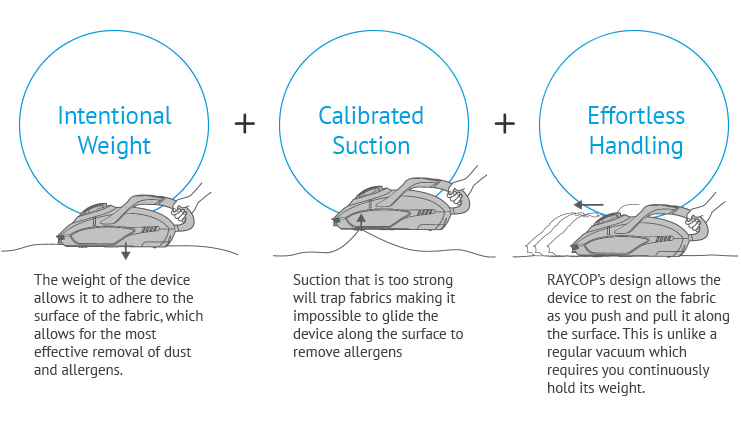 Raycop’s RS2 handheld vacuum cleaner was created to thoroughly remove allergens from fabric. 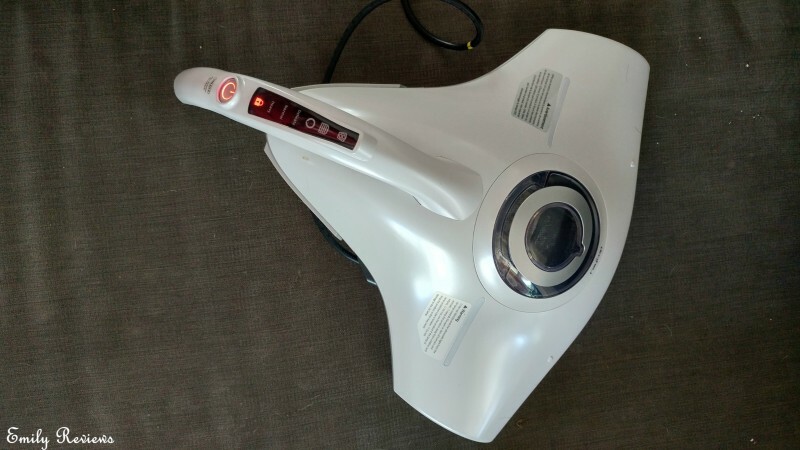 It removes three times more allergens than a traditional vacuum cleaner PLUS it has UV lights to eliminate bacteria and viruses. The RS2 has three operating modes for you to choose from. Delicate mode is ideal for decorative pillows, lighter sheets, and curtains. Normal mode is appropriate for blankets, bed pillows and thick sheets. Heavy mode works well on mattresses, heavy comforters and upholsters furniture. The RS2 cleanse with suction, pulsating pads, and rotating brush. RS2 has a sleek design. The (provided) storage stands allow you to store your RS2 easily. A retractable corn also adds to the convenience of the RS2. What happens to the allergens that RS2 cleans up? The allergens are collected in a dust box. The dust box has a filter to keep allergens inside rather than them slipping out and floating through the air. RS2 has a pressure sensor and filter warning light to help alert you when it is time for a cleaning. I knew that the first RS2 cleaning was going to be horrific. We have a mini farm and indoor pets. The addition of pet dirt and dander to our “normal” allergens was going to be frightening. Boy, was I right! I started cleaning with the RS2 in my youngest daughter’s bedroom. I was shocked by how easy it was to clean her mattress with the RS2. I was not surprised by how quickly I needed to clean the filter. Once I was done with her room, I was motivated to do my other daughter’s mattress as well as ours. Then I moved on to our couch. Ugh…to think we had been sleeping on all of that gunk! I have added the RS2 to my rotating cleaning schedule. I am not going to let things get that bad, again! My only wish for Raycop is that they had a full-size canister vacuum cleaner. 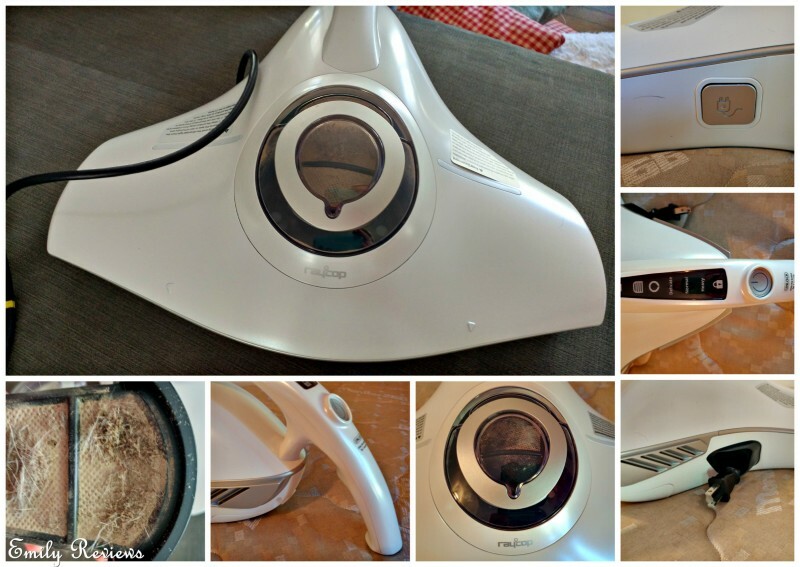 The RS2 worked so well, now I want to be able to deep clean my entire house…carpeting, rugs, etc. Buy It: Please visit the Raycop website to see the great selection of products they offer and convenient shopping locations. Connect: Don’t forget to follow Raycop on Facebook, Twitter, and Pinterest for the latest product announcements and special offers. That sounds so good. I do wish they had a full size canister too. I would get it. That’s pretty awesome. With all of my dogs, it would be super helpful! It looks like a spaceship. Looks like a good cleaner. I can only imagine what it would pick up here. I also think a full size product would be beneficial. It almost when I first saw t looked like a head you could add to an existing canister. I wonder if they would do something like that in the future? Pretty nifty machine! This sounds so wonderful and I would love to have one. It would be scary and gross to see how much stuff it would remove our furniture. I bet our air would be a lot healthier to breath too. Looks like a great vacuum. What will they think of next? Too cool! This would be great for picking up cat hair. Our vacuum is over 10 years old, it’s time for a new one.